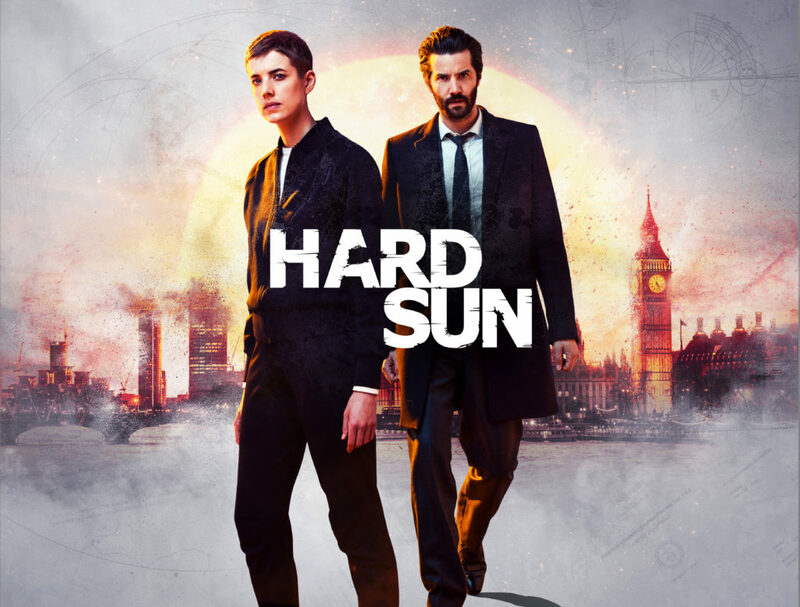 Hard Sun is a new BBC One drama TV series set in a pre-apocalyptic criminal world which follows the story of two detectives attempting to retain law and order amongst the civilian population five days before the world is about to end. Detective Robert Hicks (Jim Sturgess) is very corrupt and must learn to work with honest copper, Detective Elaine Renko (Agyness Deyn) to save as many civilians as possible from the fast-approaching apocalypse. Writer Neil Cross is well known for his ground breaking work on drama series Luther and the recent horror flick, Mama, both globally acclaimed. Director Brian Kirk has experience of directing several high profile series, including Game of Thrones and Luther. Nick Rowland is a relatively new director on the scene whose credits include BBC’s Cuffs and Ripper Street. Richard Senior who debuted as a director in 2011, is known for his work on a Doctor Who episode and two episodes for Poldark. The stars of the show are Agyness Deyn (Clash of the Titans, Hail, Caesar! ),a supermodel turned actress and Jim Sturgess (Geostorm, The Other Boleyn Girl 2008) who gave up a music career in 2006 to become an actor. In one Episode during the series Detective Hicks is thrown out of a van in a tunnel. For this tricky stunt work, the production visited Kent to use the Ramsgate Harbour Approach Tunnel. The Ramsgate Harbour Approach Tunnel has been credited in The Tunnel: Sabotage (2016). Hard Sun is set to begin on BBC One on 6th January 2018 at 9.35pm. There will be six hour-long episodes. This entry was posted in Filmed in Kent and tagged Agyness Deyn, BBC One, Brian Kirk, filmed in Kent, Hard Sun, Jim Sturgess, Ramsgate, Ramsgate Harbour Approach Tunnel, TV Drama. Bookmark the permalink.